Doctors, hospitals, clinics, nursing homes and other healthcare providers treat us when we are sick, fix us when we are hurt and deliver our babies every day all across this country. The world is a better place as a result of the job they do for us all. However, healthcare providers owe every patient a duty of care when providing healthcare services. If a healthcare provider breaches that duty and causes damages to a patient, then that healthcare provider may be held liable for medical malpractice. If you or a loved one have suffered damages from what you believe to be medical negligence, you are probably frustrated, confused and just not sure what to do next. You may not know whether medical malpractice has occurred or not. 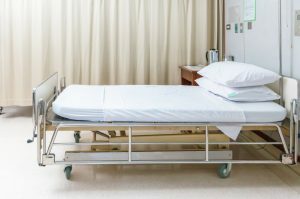 What constitutes Medical Negligence or Medical Malpractice? We all put enormous amounts of trust and confidence in our doctors and the hospitals they work for, and most of them do a good job for their patients. Medical negligence does not occur every time medical treatment does not produce a desired result. How long do I have to pursue a medical negligence or medical malpractice claim? In Alabama, you only have two years from the date of the medical negligence to file a complaint in Court for medical negligence and medical malpractice. If you do not file your claim within that two year timeframe, your claim could be time barred and you could be barred from any recovery. Medical malpractice and medical negligence cases are very complex cases that require a thorough examination of the medical records, medical issues and the retention of medical experts. To be successful on a medical malpractice claim, you must have a lawyer and a law firm that are experienced in handling medical negligence claims. Prior to forming the Estes Law Firm, our founding partner, Chris Estes, represented and defended hospitals, nurse practitioners, nursing homes and other healthcare providers. However, the Estes Law Firm is now dedicated to representing individuals and their families throughout Alabama and Mississippi. If you believe you or a loved one have suffered damages as a result of medical negligence, please contact us today for a free consultation. Contact us for a free review of your medical malpractice case. 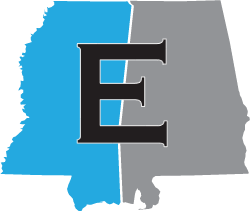 The Estes Law Firm is dedicated to serving individuals, families and small businesses throughout Alabama and Mississippi. Please give us a call or stop by any time. Alabama: No representation is made that the quality of the legal services to be performed is greater than the quality of legal services performed by other lawyers. Alabama Rules of Professional Conduct Rule 7.2(e) (2002). Mississippi: FREE BACKGROUND INFORMATION AVAILABLE UPON REQUEST. See Mississippi Rules of Professional Conduct Rule 7.4 (a)(2) (2007). The hiring of a lawyer is an important decision that should not be based solely upon advertisements. This Website is not intended to be an advertisement or solicitation. The information on this website is for general information purposes only. Nothing on this site should be taken as legal advice for any individual case or situation. This information is not intended to create an attorney client relationship. Recoveries and testimonials are not an indication of future results. Every case is different, and regardless of what friends, family, or other individuals may say about what a case is worth, each case must be evaluated on its own facts and circumstances as they apply to the law. The valuation of a case depends on the facts, the injuries, the jurisdiction, the venue, the witnesses, the parties, and the testimony.